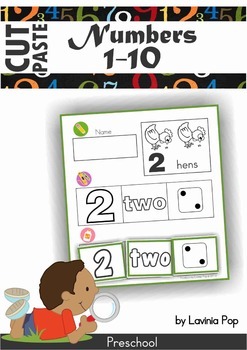 This book contains a collection of number recognition cut and paste worksheets intended for use with children in Preschool. 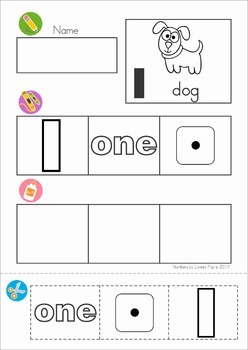 Children begin by coloring the pictures and numbers on the page. 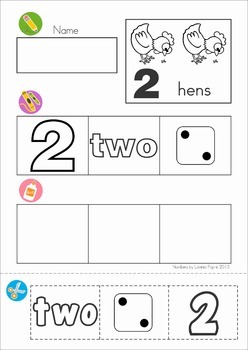 Then they cut the numbers from the bottom of the page and paste them in the order shown. I have other Number and Math worksheets, activities and centers available here!